There are tips and tricks to keep every kind of flooring looking fresh and new! Though the basics for remain the same, there are minor differences in diverse methods used for different floors. 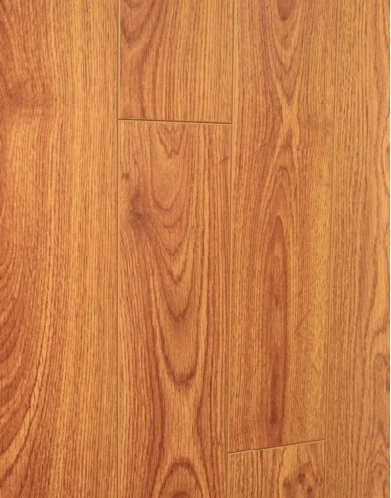 Laminate flooring is a popular choice for most homes in Canada purely because of enriched looks and easy maintenance at very cost effective prices. These floors can continue looking great for ages with very little care and cleaning techniques. To start with you can vacuum laminate floors to get rid of all the dust. You can also use a soft broom or brush with soft rounded heads to remove all dust, dirt and grime. Alternatively you can also use a soft damp cloth to wipe or mop the floor and in case you are doing so, ensure that you leave no moisture behind on the floor. You can also either vacuum or use a dry cloth for the purpose. Cleaning pads available in stores also serve a similar purpose. While using a cloth or mop do not use much water. Use of excess water can damage the floor. This helps to prevent dirt build-up which can change the way your floor looks. Another aspect of cleaning involves restricting dust particles from entering your home to avoid scratches. Scratches tend to dull a surface making it look old and used. You can do this by placing rugs and entrance mats that absorb fine dust particles. But it is important that you remove rugs and clean the place periodically. Also take care while choosing a rug because often rugs are dyed in colors that are not fast and they tend to bleed and stain floors. Next is removal of stains. First and foremost you ought to try your best to avoid spillages on laminate floors. But in case it happens despite all the care and caution, you ought to wipe it off immediately. Any substance if allowed to stand on the floor for long may cause staining. You first need to absorb the excess in case of wines or juices and then gently mop up the remnants. Do not use any kind of abrasive cleaner on the floor to remove dirt or stains. Laminate floors are prone to scratches. You also need to use a gentle hand while cleaning the surface of such floors. Use gentle cleaners that are available. You can pick any off the shelves from home improvement or flooring stores. Alternatively you can try making your own cleaning solution by combining acetone or vinegar with water. Using wax on these surfaces is equally harmful as wax based cleaning or polishing agents are not meant for this kind of flooring. Implement these thumb rules for a beautiful looking laminate floor that you will cherish for years! This entry was posted in Floor Care on March 16, 2015 by admin.